Mirrorless interchangeable lens cameras, compact system cameras, mirrorless system cameras… it’s a new category, and the one name has not yet been settled on. Naming aside, there’s a growing number of them about. And there’s soon to be another, the Hasselblad Lunar. The Hasselblad Lunar is a 24.3 megapixel digital camera, with an APS-C size sensor. The body of the Lunar is made of carbon fibre, the controls of titanium, and with a grip choice of carbon fibre, wood or leather. 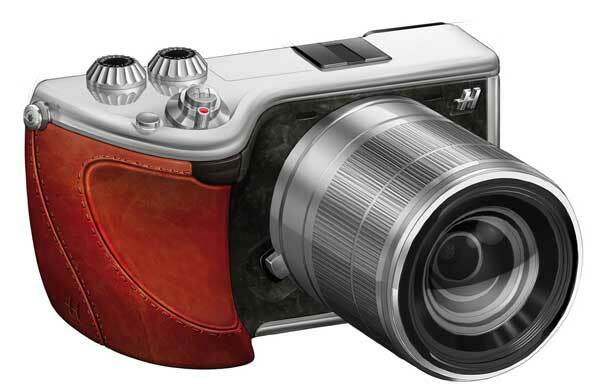 As a design touchpoint, the Lunar is based on the Hasselblad 500C, its 1954 model. Amongst the purchasers of the 500C was NASA, and it was this camera that was the first to go into space, and to the moon, hence the name of this new mirror less camera. The Hasselblad Lunar is set to land in stores in early 2013. Expect pricing to be in the region of US$5,000. Click on the thumbnails below to see larger images of the Hasselblad Lunar.